The Harud- literary festival, which was supposed to begin in September in Kashmir, has been postponed, organisers of the event said in a statement on Monday. 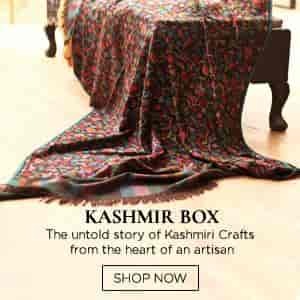 The statement came after the controversy on the event since it was announced that the event will be “apolitical” and Kashmiri writers, Basharat Peer and Mirza Waheed opted not to attend the festival. It was to be hosted at the Delhi Public School and University of Kashmir. “It is with great sadness that we announce the postponement of the Harud Literary Festival. Born out of the best intentions to platform work of emerging and established writers in Kashmir, the festival has been hijacked by those who hold extreme views in the name of free speech,” the organisers say. There was serious opposition to the hosting of such kind of event in Kashmir where media gag is often and most of the voices which rise against the state are forced to stop. The website, Kafila published a letter “An open letter on the ‘Harud’ literary festival“ in which it was said that why people do not support the festival. This letter has been signed by more than 200 people, so far, which includes writers, journalists, research scholars, students and many others. “With many authors voicing their concerns about possible violence during the festival due to the heightened nature of the debate, and a call for protest at the venues, we neither have the desire to be responsible for yet more unrest in the valley nor to propagate mindless violence in the name of free speech. We are therefore left with little alternative but to cancel the festival for now,” it read. Most of the literary figures who are invited to the event have refused to attend. If any one is to be blaimed for Cancellation of “HARUD” it is the organisers of same,who at very outset announced and declared the festival “apoltical”. This very term was capable to generate sense of suspicion and casting of doubts among people ,not only of J&K but sanner and noble voices within India and abroad raised their voice and concern about the same. It was indeed strange on part of organisers to use the term “apoltical” for Kashmir session,when in its Jaipur session no such string was attached to it and participants debated,discussed and delibrated freely on various contentious, complex and confilicting issues such as Kashmir Issue, Moism, Naxalism etc. If something was left to be doubted that was rapidly cleared by headlines, reporting, commenting and analysing of none oter than Indian national media, which as usual acted like sole barrier holders of Indian national intrest and potrayed “HARUD” as a new begining for the people of J&K , for their urge for normalcy and developement.,and bringing civilization and cultre into their otherwise uncivilzed and uncultured lives and society. Now that the show is spoiled for now, being a signatory of Kafila letter i feel no regrets for opposing the festival but at the same time i appereciate the maturity showed by organisers by cancelling the much publicised and propogated event, for that it reflects to some extent their sense of responsibility regarding sensitiveness of tragedy called J&K, and give them time to introspect that what went wrong with their good intentions which they have breifed in cancallation note.